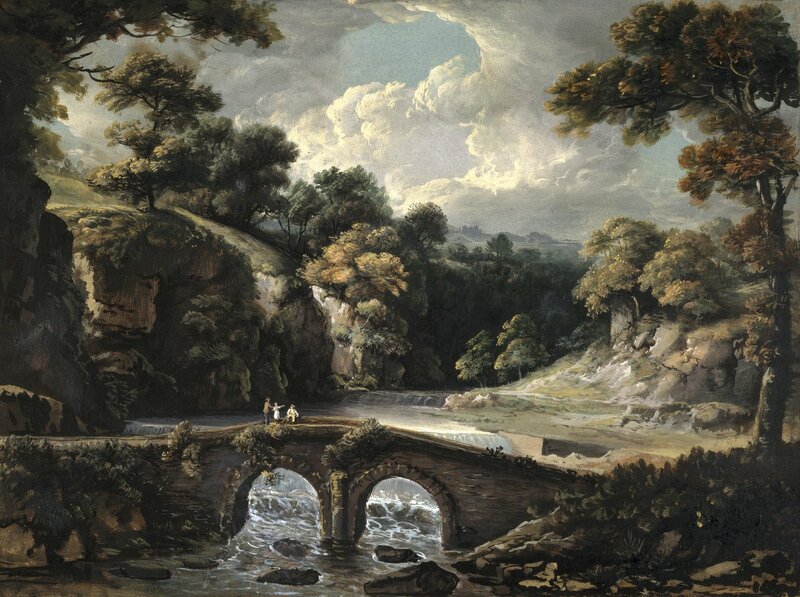 Stone Bridge over the Wissahickon, c. 1800. opaque watercolor on paper by British American artist George Beck (1748–1812). Image from Brooklyn Museum. When she was twenty-two years old and already a sensation in London, the British actress Fanny Kemble traveled with her father to the United States for a tour that filled theaters up and down the Atlantic coast. “Nothing finer did ever stage exhibit,” wrote an awestruck Walt Whitman, who was a teenager at the time, “and my boyish heart and head felt it in every minute cell.” In 1834, two years into the tour, Kemble met Pierce Butler in Philadelphia, married him, and retired from the stage. As Frances Anne Butler, she published the travel journal she had kept during her short-lived American acting career. Extraordinarily popular with readers on both sides of the Atlantic, the book (titled simply Journal in the U.S. and Journal of a Residence in America in England) was attacked in the press, which condemned the actress’s snide commentary on American society and culture—not to mention her scorn for journalists and reviewers. The whole land was mellow with warm sunset, the sky soft, and bright, and golden, like a dream. I stopped for a long time opposite the Wissihiccon creek. The stone bridge, with its grey arch, mingled with the rough blocks of rock on which it rested, the sheet of foaming water falling like a curtain of gold over the dam among the dark stones below, on whose brown sides the ruddy sunlight and glittering water fell like splinters of light. The thick bright rich tufted cedars basking in the warm amber glow, the picturesque mill, the smooth open field along whose side the river waters, after receiving this child of the mountains into their bosom, wound deep, and bright, and still, the whole radiant with the softest light I ever beheld, formed a most enchanting and serene subject of contemplation. . . . I waited on a little sunny knoll above this glittering fairy work, till my companions joined me. . . . When Poe lived in Philadelphia from 1837 to 1844, he occasionally rowed and hiked around this same area, where the Wissahickon meets the Schuylkill River. Sometime in 1843 Nathaniel Parker Willis commissioned Poe to write, for a holiday gift annual, a “plate article,” a type of essay meant to accompany (and usually inspired by) an engraved drawing. In this case, the plate was John Gadsby Chapman’s “Morning,” showing a statuesque elk on a hillside outcrop. For the accompanying sketch Poe wrote about one of his visits to the Wissahickon and created a “romance” from the site’s primeval splendor. Notes: The spelling of Wissahickon (as it is now known) was inconsistent in early-nineteenth-century texts; above, we have retained the spelling of each instance as it appears in the original. When Rufus Wilmot Griswold collected Poe’s writings in the posthumously published edition of his complete works, “Morning on the Wissahiccon” was the only signed publication that the editor overlooked, and its existence was largely forgotten for nearly half a century. 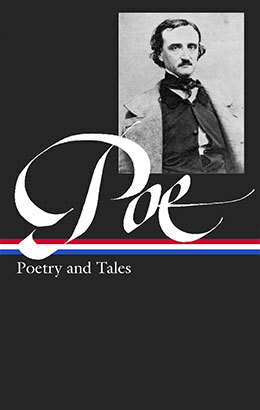 Some collections reprint the sketch under the title “The Elk” because Poe referred to it by that title in a letter he wrote to James Russell Lowell shortly after its publication. The PDF for this week’s selection includes John Gadsby Chapman’s “Morning” on the second page, scanned from an original edition of the gift annual (The Opal) in which Poe’s essay appeared. In the article Poe compares the views along the Wissahickon Creek favorably to the exotic beauty of “the valley of Louisiana”—a locale Poe had, in fact, never visited. The line of verse on the first page is from Byron’s Childe Harold. Liriodendron tulipiferum (properly, tulipifera) is more commonly known as the American tulip tree. Salvador character refers to the picturesque, dramatic, romantic style of seventeenth-century Neapolitan painter Salvator Rosa. The natural scenery of America has often been contrasted, in its general features as well as in detail, with the landscape of the Old World—more especially of Europe—and not deeper has been the enthusiasm, than wide the dissension, of the supporters of each region. . . . If you don't see the full selection below, click here (PDF) or click here (Google Docs) to read it—free!